Retro Review: Patrick Gale's "Notes from an Exhibition"
Home » books » literary fiction » retro review » review » Retro Review: Patrick Gale's "Notes from an Exhibition"
I was prompted to read this book because I've met Patrick Gale on a couple of occasions through work; he's done several events with us. So last time I was home, I snaffled this novel from my parents' vast book collection. I'd wanted to steal A Perfectly Good Man (his latest), but Mum was yet to read it. 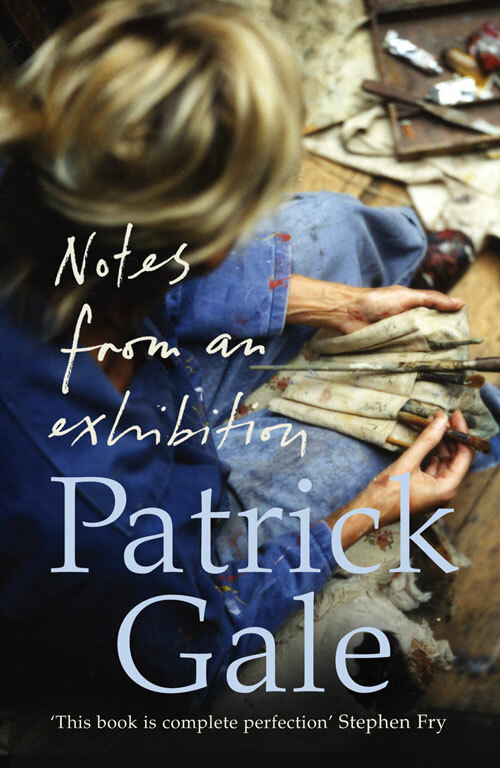 Notes from an Exhibition is just my kind of book; it is the story of an unconventional family. Bipolar artist Rachel Kelly meets quaker Anthony at Oxford University. When she has a break down, he rescues her, whisking her away to his father's house in Penzance where they settle and start a family. But the lives of her children, Garfield, Hedley, and Morwenna, are marred by Rachel's deep depressions, and the children must try to cope with her volatile character. This novel cleverly portrays the entirety of Rachel's life, from her escape from Canada, to her death. Each chapter begins with notes on pieces of Rachel's artwork, which correspond to different times in her life. The story jumps around in time, shifts perspectives, and yet does not fall into the trap of leaving gaps in the reader's mind. It is testimony to Gale's strong, evocative writing, that the story feels very complete at the end. This is a story about relationships, particularly those between a mother and her children, and for me some of the strongest sections are those featuring Rachel's young children. In particular, the chapter in which a ten-year old Morwenna spends her birthday with her mother, articulates the child's difficulty in handling Rachel's violent shifts in mood. This is particularly powerful, given the obvious similarities between Morwenna and Rachel, which become more evident as she grows up. This is a serious, beautifully written novel, and I can't recommend it enough.